Power is a term which is familiar to all of us. It is a representation of the strength of a person, be it muscle power or the influence he has on society. The physical strength of a human being is of little value when compared to the whole animal species on earth. However, our mind power is our biggest asset that has helped us accomplish so much and keep achieving more. Power as such is a vast topic to be discussed. I would like to comment on the innate power in each one of us. How we can utilize our inbuilt power to conquer more, to achieve more. Each one of us has some goals in our lives which motivates us to go forward. Wherever we are, whatever we are doing – we are equipped with some latent power that aids us to perform better. Suppose we have taken up a job for a living, the most important factor we need to concentrate on is the learning and growth we need to extract out of it. Not only in a job, but in any phase of life, if we compromise on the learning aspect then surely we’ll be outrun by our peers. If we analyze the structure of any organisation, we’ll find that it’s a system where there is a top management followed by an intermediate management and then the working class. We all know that the power to influence is highest at the top level and reduces to zero at the lowest working class level. Each responsibility brings with it equivalent power. The most efficient company is the one in which the people with authority use their power effectively. Can you imagine what would happen if someone with power exerted them wrongly or didn’t exert them at all? In an effort at achieving maximum efficiency, we are beating our own records by trying to get 12 hours work done in 8 hours and better. We work with the mindset that “customer is king” so as to become more customer oriented. We also know that any team for the sake of productivity is governed by a boss and inturn by a manager. This newsletter simply came out because of the frustration that came my friend’s way, when his manager was not willing to accept a change as devised by the team to deliver the product in a better manner. After listening to him, I sat down to think about the power given to the manager, but his fear in using it. 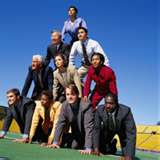 If the manager does not exercise his power for his team’s and his own benefit, the team will naturally perish. No individual in the team will gain the confidence of their boss simply because the manager is unwilling to exercise his authority and power. This manager does not use his power to help his team grow, to give his team member an appreciation, cannot keep his promises to the team, cannot convince the team why he cannot give them an appraisal – the end result, the team migrates away from the companies goals. I wonder if all these people who become managers are truly qualified enough to sit there or is it because the company gave them the coveted seat simply because of the years of service they have rendered. We all have some influence to do things and to get things done. We need to be very sharp but modest in using them for our benefit, be it for a career growth, closing a sale, settling an argument or helping our subordinates. If the topmost people don’t use their powers for the growth of a company, there is very little the intermediate and lower management can do. If you are a bad manager its time to change – you need to learn to exert the power vested in you. If you work under a bad manager – you need to change your job, else your growth will be curbed. We all know that for any business, time is equal to money. We all have the same 24 hours everyday, and we all have agreed that the way we spent our time really matters to what we are achieving. The more time we save, the more productive we become. Most cost cutting methods are time centric activities. Lets all understand that punctuality has an important part to play in saving precious time. We need to be meticulous in our activities. We all have had numerous instances of wasting time, waiting for the CEO, MD, Director or other dignitaries to come and convene some meeting. On all these instances, we've complained about people not being punctual. Just think, had you been the owner of the company, would you have left your employees to unnecessarily waste half hour simply waiting for you to start the meeting? One of the vital credential of all major personalities is their ability to adhere to their time schedule. Not only are they saving their time but many other's as well. By definition, punctuality saves time, but more importantly, it narrows down uncertainty also. Can you not recollect instances of being tensed and nervous when a train was unduly delayed? Will we not get restless when a meeting runs into an extra hour? Most of our daily calculations are based on time, its simply because we need to fit in our jobs, relationships, fun and frolic all in one day. We need to adjust the time so efficiently that anything does not become a compromise. The busier we get the better we need to manage time. There is a particular reason that I had to write a newsletter about punctuality. Recently we had a felicitation ceremony that was to commence by 4.00 and conclude by 5.00. Me, along with my friends attended the same in the mindset that at a max the function would get over by 5.15 so that we could return to work. The importance of being punctual became clear to me, when the function actually started at 4.45 and went on till 6.15. Not only did things go out of balance, but it had a serious after effect for me. I got heavy rounds of firing from my manager as there was another meeting scheduled at 6.00 and I was unable to attend it. The minutes of nervousness I went through are more than explanatory. Punctuality applies to all occasions – be it business, academics, building relationships, attending seminars or work out at a gym. Discipline more or less accompanies those who are punctual. Suppose we need to check in our offices at 8.00 AM sharp. The very thought of getting in office on time, will make us start following a disciplined system – say waking up at 6.00 and getting ready for office. May be in our country the value of being punctual is not that significant. Usually we are not thrown out of jobs or college if we are late by 5 or 10 minutes. We all have started loving the uncertainties of delayed lectures, trains, flights etc. Lets tidy up. In countries like Germany you will be fired if you are 3 minutes late. Lets be more professional and build a better race. The person that you were yesterday, that you are today and will be tomorrow depends on your circle of friends more than any other factor in the world. You will never remain poor when you are in a circle of rich people. Conversely, it’s also true that, you cannot have millionaire thoughts when you are mixed with mediocre people. This is true not just for humans, but also for all living beings in this universe. The newborn of an eagle will not be able to fly high if it’s mixed with chickens. So is true for a cub when mixed with kittens; it will not grow up to be as ferocious as it ought to be. Years of study and research has only corroborated this fact. Let’s analyze the principle behind it. 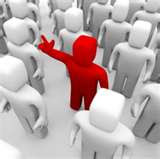 Who are the people, who influence us the most? Upon whose advice do we decide to attempt or not attempt something? Ultimately, who are the people whom we trust the most? Undoubtedly, it is our friends and this is the simple principle behind the theory of association. The society we live in also decides the limit of our dreams and aspirations. As we discussed earlier, if the society puts us in an assisting state of mind, we naturally tend to exceed our limitations and perform better. What if everyone around us de-motivated us and put us in a hampering state of mind? Will it not arrest our growth? You start to achieve only when people around you start achieving as well. The money you take home monthly is actually the average of the salaries of your 10 good friends. The whole idea of being a millionaire, when you associate with people who are amongst the rags, simply won’t work out because they are not going to visualize your plans and dreams. Just like the chickens cannot be taught the meaning of flying, people who wish to be mediocre cannot be taught the importance of being rich. You can quickly change your destiny by changing your association. This is very true. Imagine you are having breakfast with Narayana Moorty, lunch with Ratan Tata, tea with Mukesh Ambani and dinner with Adi Godrej? Will you not equip yourselves with some new tools and fresh ideas to become a top personality like them? It will occur to you naturally. If we study the lives of these people, it can be found that they had spent majority of their lifetime with people having great mindsets. We know “People with rich ideas are always rich”. This does not apply to being rich alone. Your interests can be shaped by the people around you. Whether you become a musician or a social worker or a beggar or even a terrorist depends on your association. The people you like have an invisible power to move you, inspire you and make you do things. It’s always better to be in a crowd of people whom you respect. It is more important than your abilities and capabilities because only then will you learn to use them. If you are in a poorer crowd, you become complacent and stop learning. There is an interesting point to be understood between association and your goals. Our association should be always directly proportional to the goals and desires we have in life. If our association and goals don’t match, it’s almost sure we won’t reach our goals. Instead we end up spoiling the association as well. For eg: “If our goal is to cut down on our body weight and become slim, then we should not get mixed with people who rely on junk food and people with careless food habits”. Most probably we will hurt them unintentionally because they come in the way of our goals. It’s always better to be with people who are a step ahead of you, irrespective of the field you are in, just like the way we learn English by mixing with people who are far more proficient than us. The moment you do that your growth starts and you’ll be on you way to achieving your goals. Never make the mistake of associating with negative people or the ones with lesser capabilities than you. Make sure your association always assists and motivates you to scale new heights.